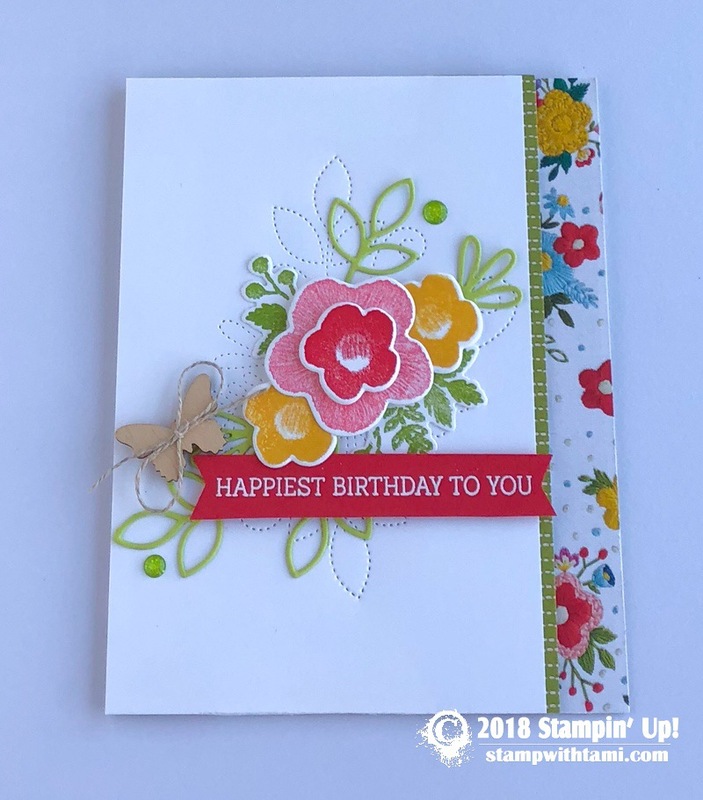 “Happiest Birthday to you” from the new Stampin’ Up! Needlepoint Nook Suite in the 2019 Occasions Catalog. A great blend of the words are heat embossed in white with the Needle & Thread stamp set and coordination Needlepoint Elements Dies (including the stitching in th background). The designer paper is from the Needlepoint Nook DSP Collection. The wooden Butterfly Elements are free from the Sale-a-bration catalog. What a great Birthday card. Love it. Must check out the new Occasions catalog and order some of these items. Thanks for sharing.